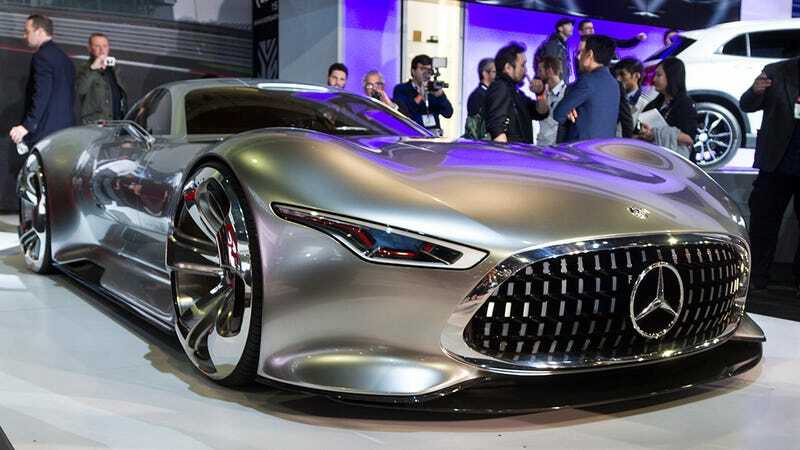 Mercedes-Benz stunned everyone when they announced they were bringing the Vision GT, a car made exclusively for Gran Turismo 6, to the 2014 LA Auto Show as a real-life full-scale vehicle. The sheer level of detail put into this model is impressive, particularly for a car that will only ever exist in the virtual world. But the most badass detail is hidden in the headlights: Molded, colored Playstation button icons (square, circle, X, and triangle) are set within the closed housing. For more on this awesome Easter Egg, including a video showcasing the car's design process, head over to Road & Track.